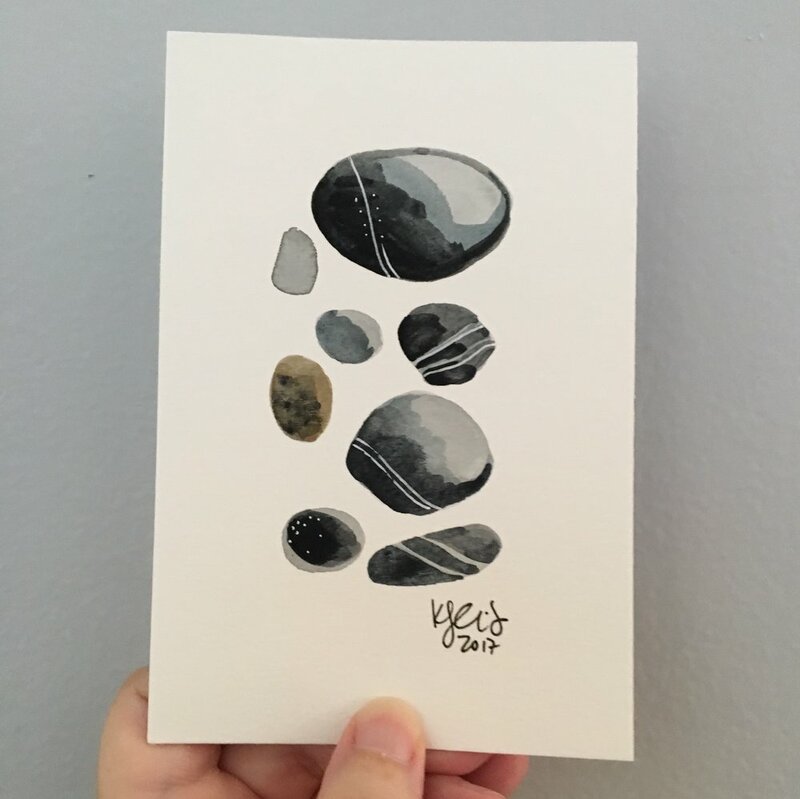 Upon returning from a trip to Lake Michigan with friends last week, I sat down to paint a short series of quick studies inspired by my time at the lake. Each features the horizon line extending across the plane, the place where water and sky meet. This was one of them - it's since gone to live with a friend who was compelled to own it after a recent Vlogbrothers video by author John Green. It's a simple video - the horizon across Lake Michigan with John's insights on being an observer and things at the "edge". You can watch it here. (Thank you, Donna, for mentioning the video!). I had a similar experience, without words. In the middle of the night in my room in the trees, listening to the waves and watching the moon.